I’m lazy so I’m very tempted right now to copy and paste my review of Samuel Adams Octoberfest and reuse it for my review of Saranac Octoberfest. Really, the differences between the two beers are very minimal. The only difference I can think of Saranac has a harsher finish but is a bit lighter in body, otherwise, they’re nearly identical. I’m realizing I’m not a big fan of so-called “Octoberfest” beers, which are an American take on the German “marzenbier” style. However, the one thing they have going for them is their appearance and Saranac is no exception. It pours to a dark orange/light red, crystal clear color. The head is more foamy than soapy and is fairly bright white. I dissipates fairly quickly, but never disappears entirely and leaves a minute amount of lacing on the glass. The aroma is fairly unremarkable, as it’s pretty generic although slightly sweet. There is definitely a malty nose to be smelt, but as Saranac Octoberfest is otherwise pretty flat without much distinction of any spices. A mistake I made with Sam Adams Octoberfest was to drink it too cold, so I decided to wait for Saranac’s version to warm a little before trying it. Lo and behold the flavor was nearly identical to that of the popular Boston-brewed beer. Octoberfest beers are an American take on the marzen style, which means they are beers known for their malty side rather than their hops. This particular beer has a malty, vanilla taste with a surprisingly weak, dry flavor. 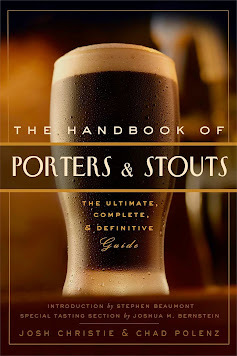 It’s really not too far removed from being a porter or a bock. Drunk very cold Saranac Octoberfest has a pretty bland taste, but it’s definitely drinkable. Drunk cool the sweeter ingredients stand out more, but not to the point of making the beer tasty. So whether you drink like a pro or an amateur you’re likely to find yourself a little underwhelmed. I was actually surprised that Saranac’s Octoberfest finished a little coarser than Sam Adams. Not that the beer is difficult to drink, but it’s not nearly as smooth as you might expect, especially considering the fact its flavor is rather mild. One of my major beefs with Sam Adams Octoberfest was its heavy weight, but Saranac Octoberfest is significantly lighter. I was able to drink two bottles in a row without feeling the least bit full, which cannot be said for Sam. Saranac’s website does not list the amount of calories per 12oz serving but I’m willing to bet it’s a lot less than Sam’s 165. If you have the choice, you might want to opt for Saranac to accompany your Sunday afternoon or Monday night football party. I guess it’s a little unfair to rate two craft Octoberfest beers so relatively low, but I’m just not finding much in them to like. I’m not sure what to expect in a beer of this kind, but I know it should be more than an average taste. It’s definitely worth a try due to its seasonal qualities, but there’s a reason it’s not available year-round.